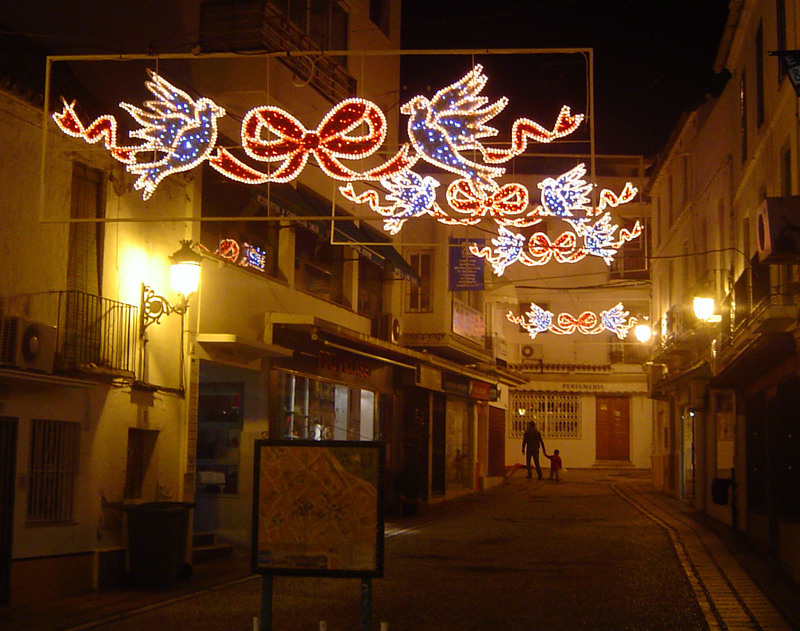 Marbella Old Town Christmas lights seen here in a side street just over the road from the Plaza de Alameda represent both austerity and hope for the future. It’ll take another eight years to balance the books after Jesus Gil’s systematic looting of the municipal coffers. Whereas Gil would spend 400 000 € every year on Christmas lights, (money which Marbella never had) and dazzle his supporters, Mayoress Angeles Muñoz has spent less than half of that this year. Less light bulbs and extravagance but Marbella’s future has never looked brighter. On the subject of Christmas lights, I got an email just before Christmas from Yvonne. She wrote, ” Hi, I want to travel to see the lights in Malaga, can you advise the best way to travel there? 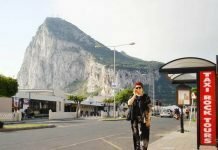 I live in Marbella, have a car and am willing to park and ride (train or bus) Also, what times does public transport finish at night (for returning)? To contact me please click on the comment label below for help. Remember to tick the box which says “Email me any posts” so that my reply will be emailed to you automatically. Nobody sees your email address. It’s a great system to beat the spammers. Give me a first name to reply to even if you make it up! You can also check for more information on the Gomarbella Travel Page of course.